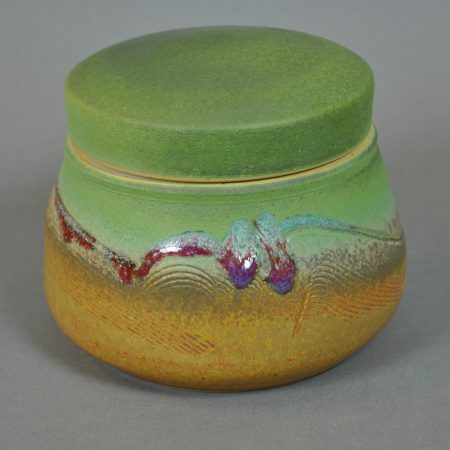 Approximately 12.5″tall x 6.5″ wide. Every piece is one of kind, so actual image and current stock will vary with artist’s firing schedule. 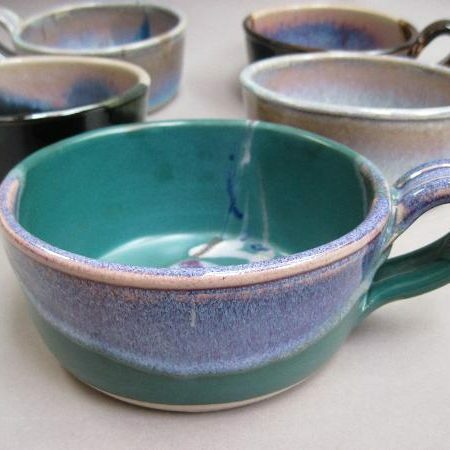 Each glaze is unique and will vary. We are happy to hand select the perfect piece for you. 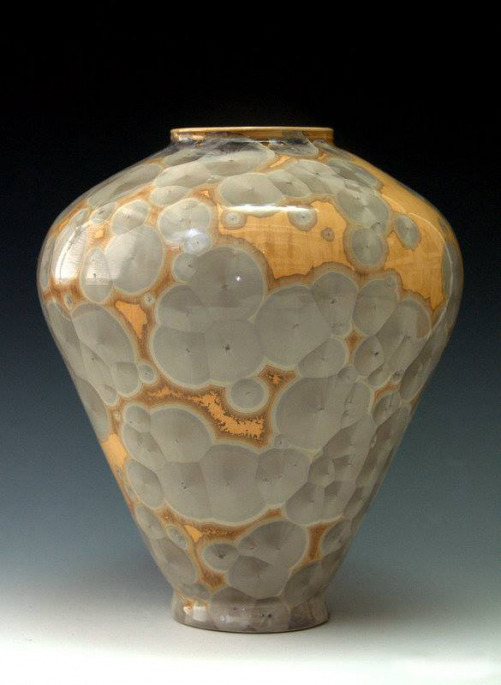 Bill started working in clay in 1971 at the College Of The Redwoods, Eureka, California and now resides in Las Vegas Nevada. He works in his studio at home and teaches wheel throwing classes at Pottery West in Las Vegas. Bill draws his inspiration from Tom Coleman, Amy Kline, Sandy Smith, Derek Mulliner and many of his students. 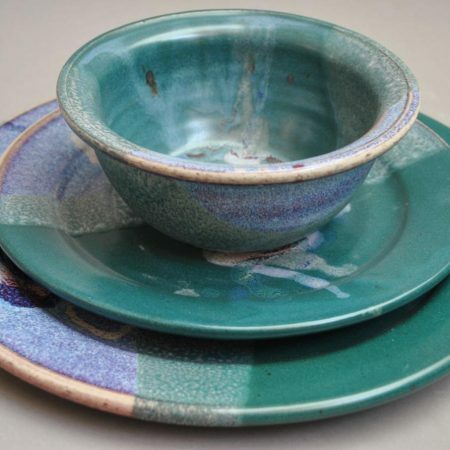 At age nineteen, Bill started throwing stoneware clay and now mostly porcelain clay. "I love how it feels and how white it is and how it takes the glazes. 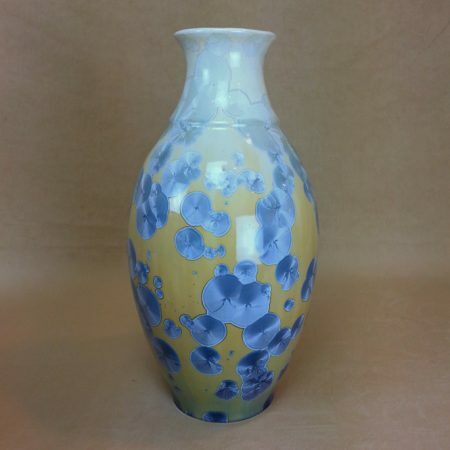 I’m dedicated to form and function and I’m always looking for ways to improve.” Bill attended a Crystalline workshop at Sierra Nevada College in 1984. which sparked my fascination with Crystalline glazes. 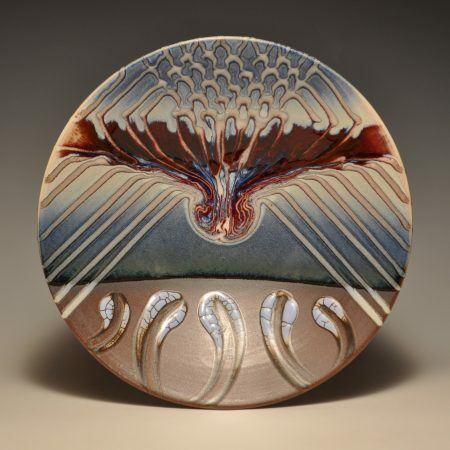 I draw my inspiration from the desert colors, desert landscapes, the designs and patterns in the sandstone of Red Rock National Conservancy and Zion National Park.